If you’re considering adding solar panels to your RV or camper, you know there is enough information to fill a library on the subject. Quite frankly, most of it can be overwhelming and confusing, to say the least. 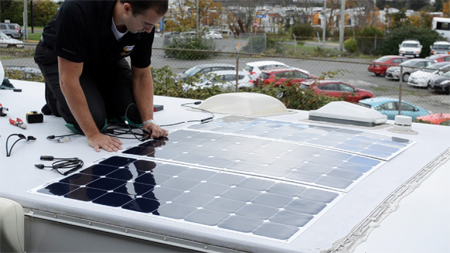 We’re going to explore in detail some of the questions you may have about RV solar panels, so let’s get right to it. What are RV solar panels and what are they used for? This is a great place to start. 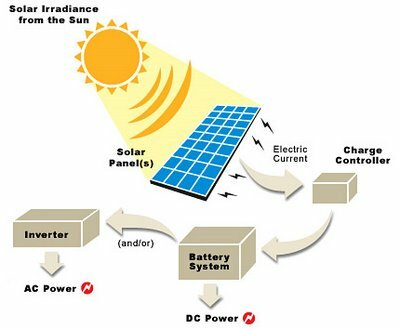 RV solar panels are devices that convert light (sunlight) into power (electricity). In the diagram above: The sunlight hits the solar panels, creating an electric current. The electric current feeds into a charge controller, which controls how much current goes through the battery. The batteries produce DC power, and an inverter changes the power from DC into AC power. 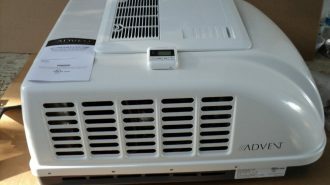 AC power is what runs things like your blenders, laptops, and phone chargers. To charge your “house” batteries — Solar power provides a slow, steady charge to your batteries. This is actually the way batteries are made to be charged, which in turn maximizes the life of the battery. It is the same concept as a car battery. If it sits too long, it loses its battery life, and it may not be able to hold a charge even after being charged back up. 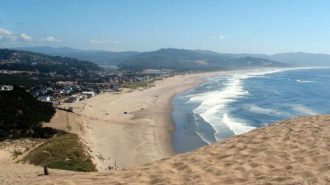 To provide electrical power — Whether or not you are in remote locations, wanting to explore breathtaking views, or as back-up power for emergencies. It’s a cost-effective means of power. Alright, let’s face it, you do have the initial part of the setup, but it is free, as free can get… straight from the sun. What is not to like about FREE? The resource is pretty much inexhaustible, even during the winter months, and on cloudy days we still see some sunlight. It’s clean, quiet, and it is good for our planet. It does not burn fuel, therefore does not put off waste or smells. Systems are virtually maintenance-free. 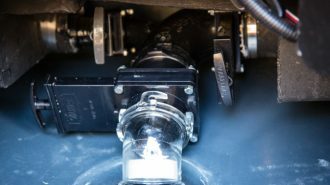 No moving parts means nothing to break, and once systems are set up, they could last for decades to come, plus there are practically no recurring costs. Let’s say in the future, you decide you want to expand your solar panel system, to produce more power. It can easily be done without a whole revamp of your system. It extends the life of your battery. 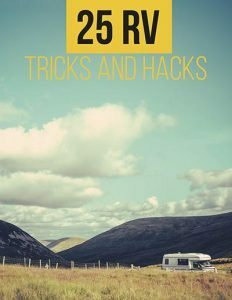 Most RV batteries will last anywhere from two to three years, and they are expensive. With using solar power, you can expect that to increase from 50% to 75% longer. That means not having to replace that battery for 6, 8, or maybe even 10+ years. It allows you the freedom to enjoy living in natural settings with breathtaking beautiful views. Lastly, it is so easy. The panels are there, the sun is out, and like magic, you are generating free power. It just does not get any easier than that. 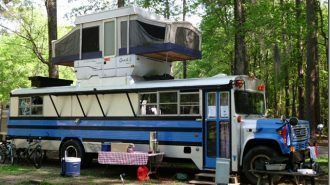 What are the different kinds of RV solar panels? In the RV world, there are presently three types of solar panels on the market. Mono-Crystalline solar panels are made from a single crystal. Individual cells are a thin wafer of silicon crystal. 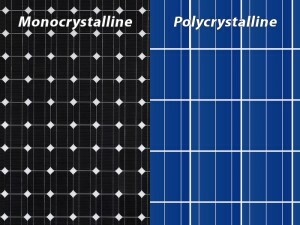 Poly-Crystalline solar panels contain several smaller crystals. Amorphous solar panels are thin film panels. Cells are made of a thin layer of silicon, and is attached to a backing material. 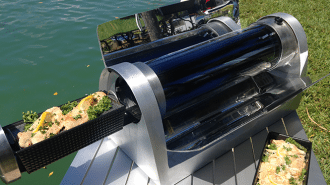 What is the best RV Solar Panel you might ask? The roof of your RV is like prime real estate, so when deciding what may be the best solar panels for your RV, you must consider size, as well as efficiency. While Amorphous is the cheapest, and does have a high-efficiency rate, it is twice the size of poly-crystalline and mono-crystalline. Mono-crystalline is also high efficient, and is said to produce more power in low-light conditions than poly-crystalline or amorphous. 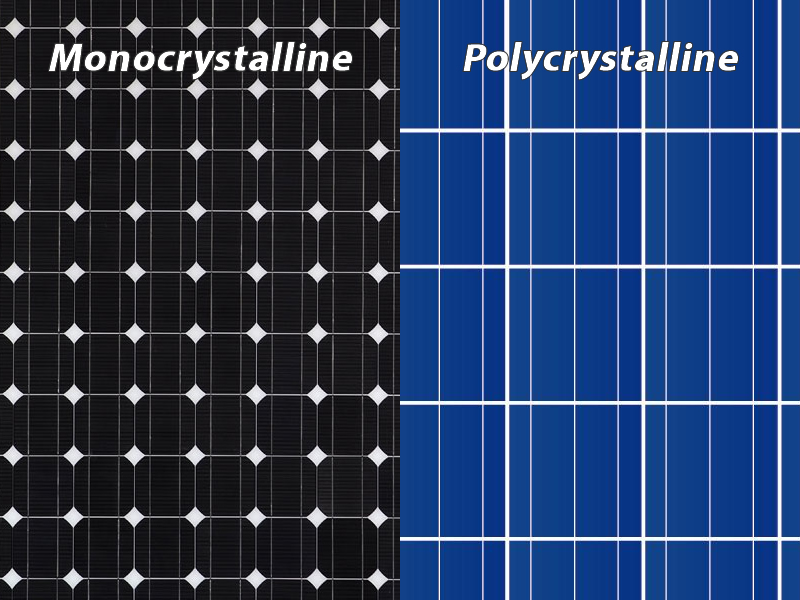 Poly-crystalline, however, is the most popular, and takes up half the space of the amorphous, and produces just slightly less power than mono-crystalline panels. 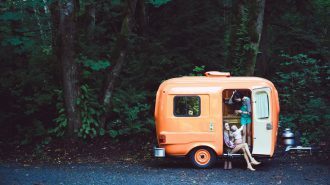 The best solar panels for your RV is one that fits your needs. Flexible Solar Panels for your RV – What is the difference in flexible RV solar panels vs. rigid RV solar panels? 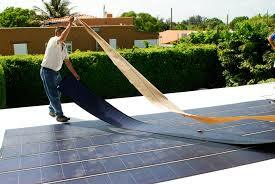 Flexible solar panels, which are known as thin film panels, are the newest to come out in the field of solar energy. Let’s take a look at some of the advantages, and disadvantages, of these. Advantages: These type of solar cells are extremely lightweight, and more of them can be installed in a larger space and not add additional weight, unlike your traditional poly-crystalline or mono-crystalline solar panels. While they are still made of silicon, they require less to produce, and are capable of generating just as much energy as the traditional panels. Flexible panels can be installed directly on your RV roof, which makes them more streamline and pleasing to the eye. Disadvantages: While some companies advertise this as okay, it is not smart to walk on your panels. They can develop very small cracks under pressure, and that in turn will reduce their power output, and shorten their lifespan. 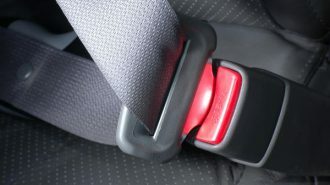 Most tend to come with only a 10-year warranty, which is only a third of their counterparts. 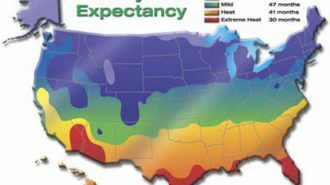 Heat buildup is also something to consider. Essentially, the more space you have between your panels and the roof, the cooler they will stay and the more power you will generate. As flexible panels get hotter, all that heat buildup goes right into the interior of the roof they lay on. While in winter months this can be a great thing, as far as the hot summer months, not so much. Installation of flexible panels means you will need to glue them to your roof, and it is not an easy process to remove them later, and can result in damage to your roof or to the panels. While, individually, these disadvantages would not be a deal-breaker, they are worth looking into for your individual needs. 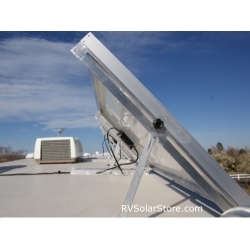 Rigid RV solar panels are hard and firmly fixed. They are constructed using glass panes within an aluminum frame. 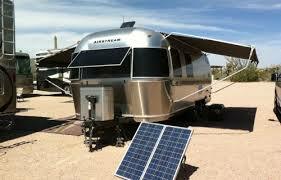 Let’s also look at the advantages, as well as disadvantages, of rigid RV solar panels. Advantages: The most obvious, of the advantages of rigid over flexible, is the durability. They can withstand the harsh conditions associated with travel. Rigid panels are by far the best choice for long-term. For those with the environment in the back of their minds, silicon is more environmentally-friendly, when it comes time for disposal or recycling. Another benefit includes a high resistance to heat. 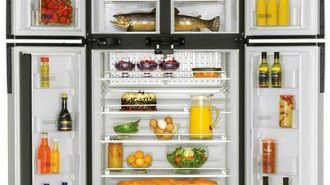 Also, as we talked about earlier, the more space you have, between the panels and your RV, the less heat it will produce. 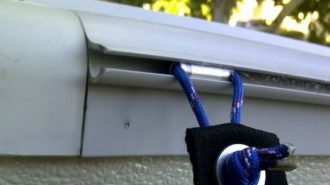 These can be mounted with a space between them and your RV roof, and they usually have a lower installation cost. They can be mounted to hinge and tilt. so you are still able to take care of normal roof maintenance, without worrying about stepping on them. Disadvantages: Rigid panels do weigh more than the flexible ones, thus adding more weight to your rig. Rigid panels do stick up above your roof somewhat, and can be an eye-sore when looking at your rig. 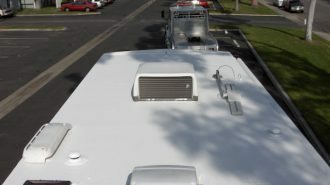 They can also be harder to place in-between AC units, antennas, and other things on your RV roof. 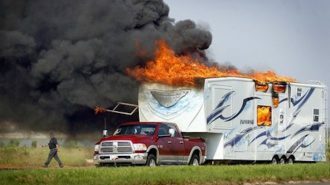 While they are regulated to withstand the high winds, hail, and even extreme temperatures of RV life, they are made of glass, and glass is breakable. System overview: These are the main components, and may not include individual items needed for installation. Panels: Along with the information above, they do come in various sizes, and you can even purchase additional ones, and add more later, without a whole system overhaul. Charge controller: This controller is to regulate the flow of electricity to your batteries. You don’t want them to over-charge your batteries. Battery monitor: This is great to keep track of your battery levels. They act just like a fuel gauge does to your gas tank. If you want to know exactly how many more amp hours you have, this is the monitor you need. Inverter: To convert the DC power from the panels into AC power, which is used to power things like your coffee maker, phone chargers, vacuums and TV’s. Wire harness: To carry the charge from the panels to the batteries. How many solar panels do I need for my RV? Solar panels come in various watt sizes. See below for more information on how to determine what size system you need. 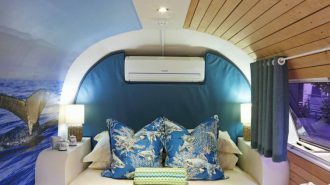 Depending on the space available on your RV roof, if you don’t have the space for one big panel, you can get two with the same wattage. For example, if you figured out you need 120-watts, you could either buy one 120-watt panel, or two 60-watt panels. Both of them would give you the output of 120-watts. 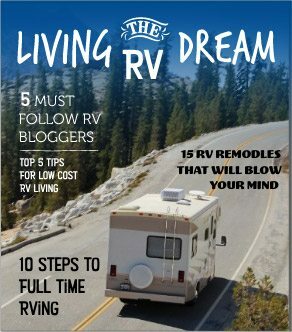 How do I know what size RV solar system I need? There are many ways to determine what size system you need, some are based on extensive mathematical formulas. Or, you could use an online calculator, like what is found here by Go Power. Another way is to use AMSolar’s System Sizing by actual use. 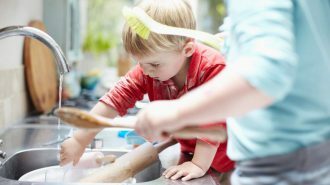 It has some great examples to determine your average use. Once you know about what you use, then you can decide how much power you need to generate. Portable solar kits allow you to move your solar panels, to get the most sunlight, even when your RV is under the trees. 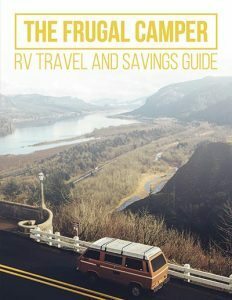 They are great for smaller campers and RVs. They can also be used in addition to your larger permanent system. 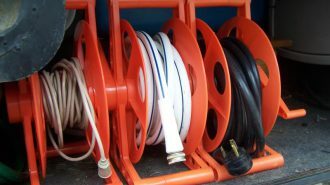 These portable kits come with cables, to allow you to move the portable panels around with ease. How much does a solar power system cost? 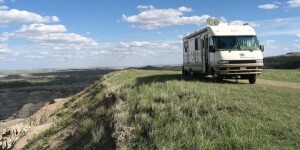 As with anything, it depends on your needs, and what your RV setup will look like. 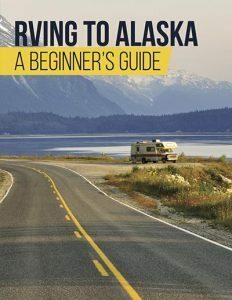 It is very customizable, and what may work for you, may not work for your fellow RVer. Prices for systems start around $700, and go up from there. Also, as solar power gets more and more common, and as we have seen, in just a few short years, the prices have dropped. As long as you have enough light to cast a shadow on the ground, your panels are capable of producing power. 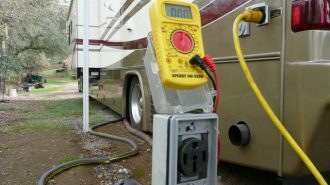 Keeping your RV panels clean will also have an effect on power. Even the least bit of dust or debris will lower your power. Make it a routine practice to check on this. Just be aware that all solar panels are NOT created equal, nor are they all made for use on the roof of your moving RV or camper. While you can find reputable companies to buy RV solar panels and systems from, it is important to know that some companies will not warranty panels that are installed on an RV. Look for dealers that specialize in either solar panels for RV roofs and/or systems that are made especially for RV’s and campers. 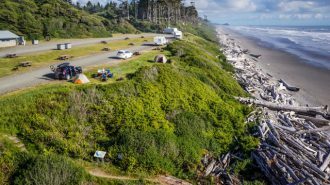 In Summary: Solar panels are a great addition to your RV investment, not only will they allow you to extend your camping experience, they are great for our environment, and will save you some money in the long run. Talk to experienced companies to find out what options you have for your setup, or if you are a “Do-It-Yourself-er,” research what products will best fit your needs. As always, Happy Camping!